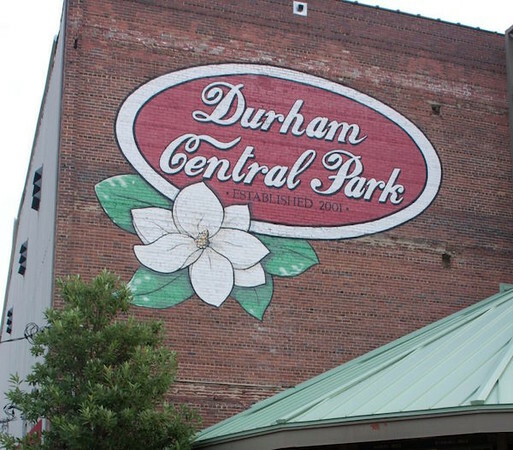 Are you looking for the best places to eat in Durham, North Carolina? 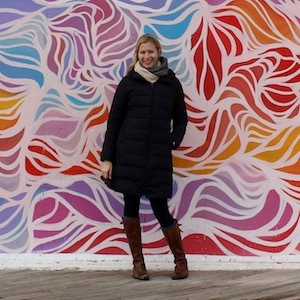 Local Jessica Covington of Magnets from Everywhere shares her recommendations on where to go in her favorite food town. 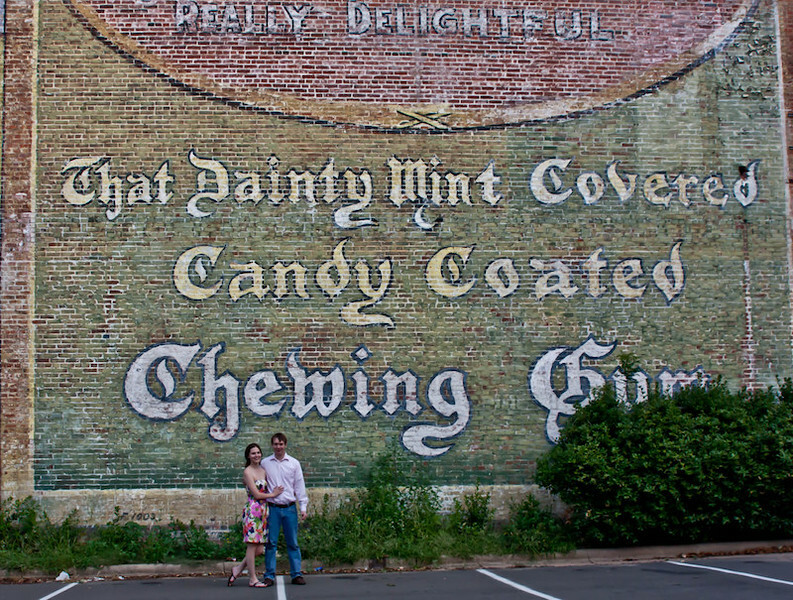 Chris and I moved to Durham right after we graduated college and instantly fell in love with the small city. 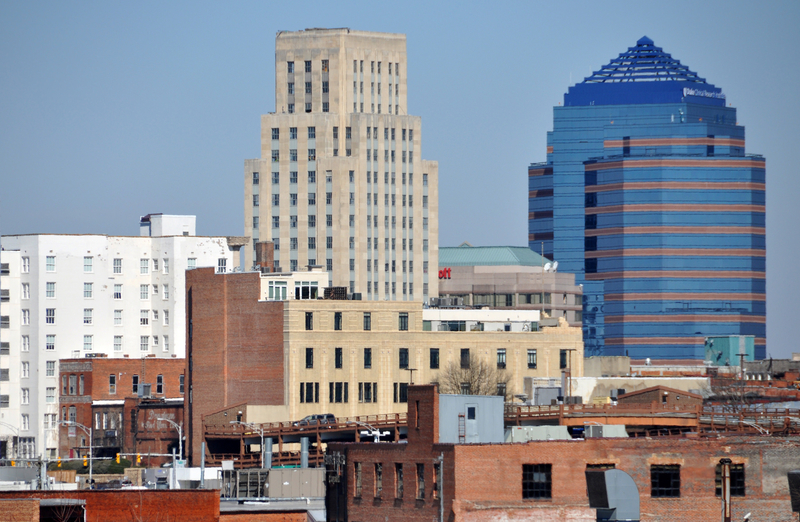 Located just a few miles from Raleigh and Chapel Hill, Durham was the rougher, grittier part of the Research Triangle. Although the reputation is lingering, the actual reality of Durham was already changing, and Chris and I had arrived just in time to consider ourselves early adopters. We bought our first house in the downtown area and went right to work getting to know the local scene. In the last six years, that scene has changed substantially, but Durham has managed to keep its charm. If I had to choose only one restaurant to have brunch in for the rest of my life, I would have to pick Old Havana Sandwich Shop. Located a bit further down Main Street than most of downtown, Old Havana is still easily accessible by walking from any parking garage in the downtown area. You’ll have to walk through a charming but quite secure gate to reach the restaurant which is open for lunch during the week and brunch on weekends. The restaurant is decorated in colorful posters and art from Cuba and you can purchase prints as well. The owner is from Cuba and can always be seen behind the counter wearing a straw hat. Its name and primary specialties are sandwiches, and their sandwiches are delicious, but I have to recommend going with the El Obrero brunch plate. The pork is absolutely to die for, and the maduros are the best I’ve ever had. Old Havana also catered my son’s first birthday party and that was a huge hit! Everybody in town knows about Dame’s Chicken & Waffles and the long lines out the door on weekends. Now that they’ve opened up locations in Greensboro and Cary, you don’t have to put up with quite as much to get your fix, but it’s still well worth visiting the original Durham location. It’s right across from 5-points, so it’s convenient to any errand you happen to be running downtown, just go ahead and make reservations if you’re able. I’m still not totally sold on the chicken and waffles combination, but their chicken is fantastic and the waffles aren’t bad, so I have no objection to eating them together. Their specialty smears help bridge the gap as well! I highly recommend you order the Brown Leghorns if you like a little sweet with your savory. The drumsticks are such a flavorful cut and come out really delicious. For sides, make sure at least one person at your table gets the mac & cheese, I don’t know what they put in it, but I love it. This popular dumpling food truck is seen in Durham less and less these days, but it’s still worth checking their schedule. If you’re lucky, you might just catch them at Bull City Ciderworks where you can enjoy some local hard cider while you snack on delicious soup dumplings. I recommend you sample (at least) the Juicy Buns and Bayside Chives and make sure to dip them in some of their delicious Pineapple Curry Sauce. I’m also partial towards their spicy glass noodles, but you really can’t go wrong at Chirba Chirba. When we first moved to Durham, Bull McCabe’s was a small, dark, classic Irish Pub. Now you can still get that experience but their seating capacity has expanded significantly. On a warm summer day, you can get comfortable on the lawn or the deck while you sip on delicious Irish beers on tap and chow down on Fish N’ Chips or Cottage Pie. If the weather isn’t as forgiving, or if you just want the original experience, get a table by the bar. The benches are old church pews and you’re sure to spots several other architectural details salvaged from old churches. If you’re a soccer fan, this is also the best spot to watch the match! Definitely my favorite bakery in town! You just have to stop into Loaf for a light (or heavy) breakfast. My personal recommendations would be to grab a chocolate croissant and a savory gruyere puff. If you have to pick up breakfast for the office, this is guaranteed to be a huge hit and much more appreciated than doughnuts. Speaking of doughnuts, I wouldn’t want you to think I wasn’t a fan! This classic Durham food-truck-turned-store-front-turned-bigger-store-front is the popular place to go for quirky and creative doughnuts. Personally, I prefer Krispy Kreme, but I still think you should go to Monuts for the delicious fresh baked bagels. When I was pregnant with my first and Monuts was at the first brick and mortar location, I walked to Monuts every single Saturday to get an everything bagel and a chocolate milk. So delicious. Now, if you want the absolute best place to go for quirky and creative doughnuts, you’ll want to visit Rise. Their menu is split into “Old School” and “New School,” so you’re sure to find something for everyone. Their biscuit sandwiches are not bad either. Their newest location is downtown right next to the farmer’s market. Back in my day, I used to have to commute to South Durham, so be appreciative of what you’ve got! Also, they used to accept payment in bitcoin, so be sure to ask! I was almost there once I hit doughnuts, but this list wouldn’t be complete without a good dessert place. The Parlour was also a food truck once, but now it’s the best hand-made ice cream in Durham. The Parlour has delicious ice cream, creative flavors, plenty of vegan ice cream and baked good options, and super epic ice cream Sundays and floats. Centrally located downtown, this is the perfect choice after a Durham Bull’s game or a show at DPAC. 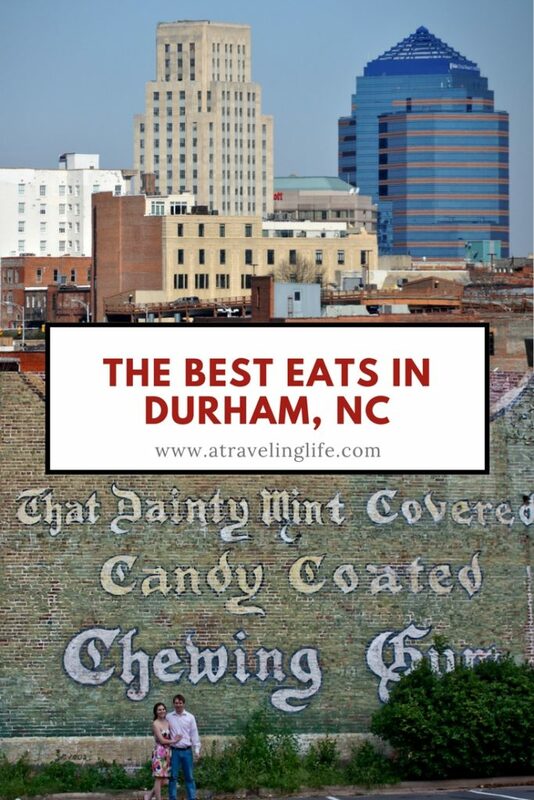 What do you think are the best places to eat in Durham, North Carolina? This is the second post in the “My Favorite Food Town” series. The first post features Northampton, Massachusetts. Tags: Durham, North Carolina, restaurants, U.S.
Looks fabulous. I’ll have to try to get there some day. Thanks for sharing. Thanks for reading! I hope to get down that way too – its sound like a great town. Planning on maybe going down there in the summertime! Great recommendations, will keep them in mind. Thanks for sharing! Loved your blog, it reminded me of my time in Durham. I also used to visit The Parlour quite often. Its creative menu covers offers a wide range of delicious ice creams.